These dads clawed their way to the top in this year’s Best Dad Contest. 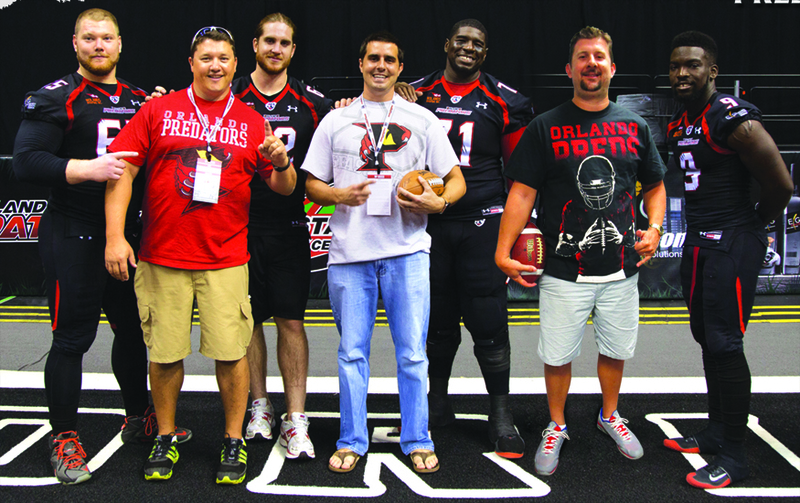 For their dedication to their families, they had a night off from dad duties at a recent Orlando Predators game. What makes him the best dad? Nathan participates in daily basketball games, fishing trips, Call of Duty games, reads stories and plays in superhero battles. He helps the kids with their homework. He is a football cheerleader for his son and his daughter. Really, what does he not do? Winning this contest doesn’t matter, but hopefully all dads will realize that spending time with your kids is the best gift a dad can give! What makes him the best dad? Shane is the best father ever. He is loving, patient, kind and is an excellent role model. He loves spending time with his children and is very active in their lives. He attends every event that they have. He has been coaching the children in sports since they were 3 years old. He spends one-on-one time with the kids and his wife, along with lots of family time. Shane balances work, parenthood and being the best husband better than anyone.